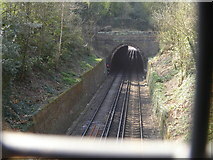 This section of the walk starts at the southern end of the Woolwich Foot Tunnel and ends at a footbridge over the railway at Falconwood. 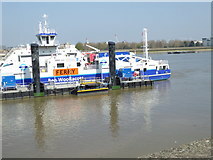 Here the Woolwich Ferry is at its southern terminal. 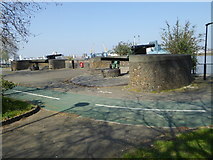 This former Gun Drill Battery is by the route. 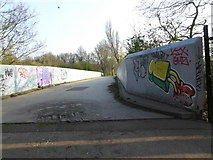 The walk crosses a railway line in Maryon Park. 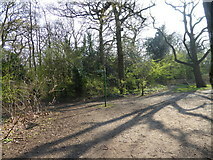 This is a look back to a tree at the top of the hill in Maryon Park. 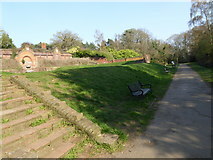 Here the walk enters Charlton Park from Charlton Park Road. 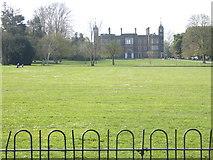 This is Charlton House seen from Charlton Park. 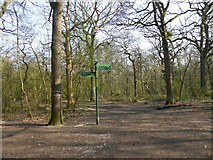 The route turns left here. 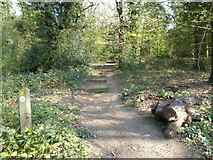 The Ring crosses Woolwich Common on a surfaced footpath. 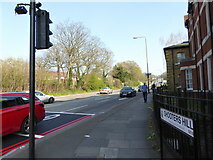 The route turns eastwards onto Shooters Hill. 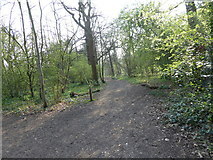 The walk heads uphill into the trees on Eltham Common. 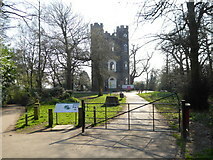 Having gone over the highest point of the Capital Ring Severndroog Castle is reached. 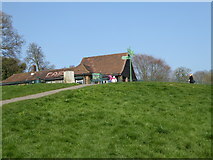 The way passes the Oxleas Wood Café at the top of Shooters Hill. 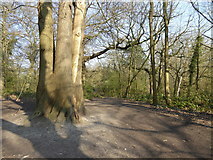 This massive tree is passed on the route. 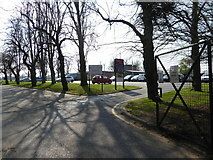 The Ring takes a right turn at this signpost. 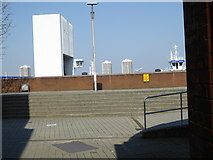 A left turn is made at the signpost ahead. 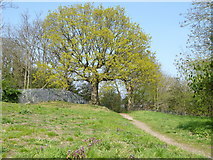 This picture is definitely on the Capital Ring but I can't place it with accuracy. All images © Shazz and available under a Creative Commons licence .